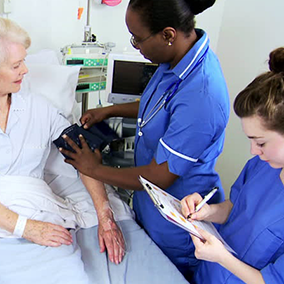 There’s evidence of increased job satisfaction and productivity among nurses. And patient rounding can positively affect your HCAHPS and Press Ganey scores. However, getting these impressive results requires more than staff asking how the patient is doing and putting a checkmark on a rounding worksheet. Strong results come from a more strategic, consistent approach. 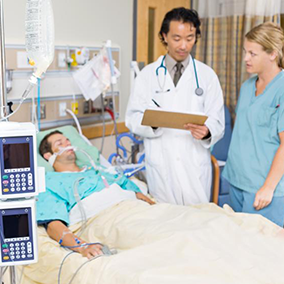 Many hospitals have found success with the implementation of a patient rounding tool. Yet, researching and choosing the right patient rounding tool can be a challenge. Here are five tips to help you select a rounding tool to drive optimal patient safety and satisfaction outcomes. Smartphones, that is. Some rounding tools require staff to carry clunky iPads or paper forms on a clipboard throughout their shift. This is inconvenient and can waste time if nurses have to run back and forth to the nurse’s station to find an available device. Even worse are solutions that require staff to document activities on a piece of paper and then track down a WoW to enter the information into the rounding system and/or the EMR. This results in inaccurate data, workarounds and suboptimal rounding results. The best option is a truly mobile rounding tool. iPhones are light, convenient and, chances are, your staff is already using them for other workflows. Look for patient-centric rounding tools that offer an efficient way to document both nurse and executive rounding. Positive Patient Identification (PPID) scanning from an iPhone’s native camera streamlines rounding workflows and prevents workarounds. In-app reminders offer convenience and improve rounding timelines and compliance. An intuitive, easy to follow rounding workflow with in-app prompts and documentation helps ensure safety checks are performed. This is critical for compliance and patient safety. The key to rounding success is not just completing the task at hand, but being able to efficiently meet patient needs by efficiently executing the related actions. 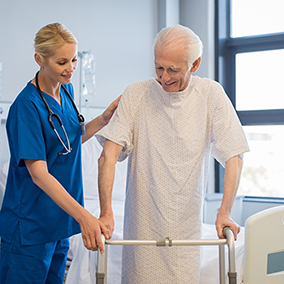 For instance, if a patient needs to go to the bathroom but the nurse needs help assisting them, in the time it takes her to go find help, the patient may have already tried to go to the bathroom on their own, increasing their risk of falling. If the nurse is able to quickly text a team member for help, he can stay with the patient, ensuring their safety. 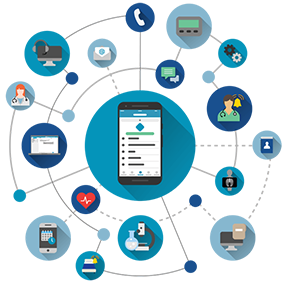 Integrating rounding and clinical communication in one app improves collaboration and allows the care team to proactively resolve issues for better patient experiences and outcomes. Ensure rounding success by tracking data at the organizational, unit and individual staff member levels. Identifying and correcting issues – as well as rewarding high-performers – is crucial for a successful implementation and continuous improvement over time. Look for tools that offer quick dashboards and drill-down reports for assessing patient satisfaction and compliance. It’s also important to have access to real-time data so you can correct behaviors quickly to prevent bad habits from forming. The new PatientTouch Rounding tool offers all of the above and more. Click here to learn how you can improve patient experience and outcomes with the only iPhone-compatible rounding solution.